Philipp Reisinger will hold an exciting talk today entitled “Two Worlds and One Reality – Approaching Security and Risk in the Real and the Virtual World” at the Congress Center Alpbach (IKT Security Conference 2018). Interested people will have the opportunity to attend the talk/lecture also on November 14, in the context of the “15. Österreichischer Sicherheitstag 2018” in Puch/Salzburg. Computer data breaches cost companies millions of dollars each year. When combined with the damage leaks of private information do to consumers, the total cost of security issues is even greater. Many systems, including blockchains and Internet of Things systems, are created secure at the design level. However, mistakes in their implementation of those systems often make them vulnerable. Dimitris Simos, SBA Research’s MaTRIS group leader and his partner Jeff Lei of University of Texas at Arlington (UTA), are the two PIs in a recently awarded three-year $585,000 grant from the National Institute of Standards and Technology, USA to develop a new approach to security testing of blockchains and Internet of Things systems aiming to avoid these vulnerabilities. The funded project, called SENTINEL, will use combinatorial interaction testing technologies to perform general testing, and also to expands the horizons of the combinatorial security testing research program put forth from SBA Research (Dimitris Simos), NIST (Raghu Kacker, Rick Kuhn) and UTA (Jeff Lei). has been accepted at the International Symposium on Research in Attacks, Intrusions and Defenses (RAID). Our work investigates whether cryptocurrencies are a threat for reliable power grid operation due to their high consumption. The conference will be held September 10-12th in Heraklion, Crete, Greece. A preprint will follow soon. 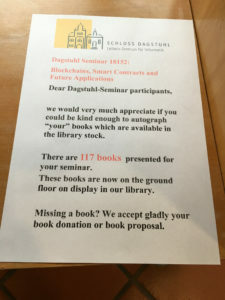 Our Decentralized Systems Group and Edgar Weippl organized together with Foteini Baldimtsi (George Mason University – Fairfax, US), Stefan Katzenbeisser (TU Darmstadt, DE) and Volkmar Lotz (SAP Labs France – Mougins, FR) the Dagstuhl Seminar on Blockchains, Smart Contracts and Future Applications, which takes place this week at Schloss Dagstuhl in Germany. 26 participants are discussing interesting scientific topics linked to blockchain, smart contracts and future applications. 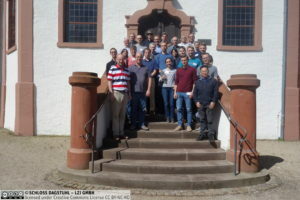 Further information can be found on the website of Dagstuhl. The paper “A Wild Velvet Fork Appears! 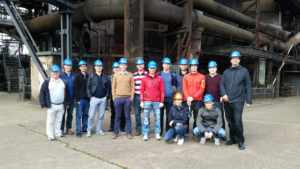 Inclusive Blockchain Protocol Changes in Practice” by Alexei Zamyatin, Nicholas Stifter, Aljosha Judmayer, Philipp Schindler, Edgar Weippl and William J. Knottenbelt, in cooperation with the Imperial College Centre for Cryptocurrency Research and Engineering (IC3RE), was presented at the 5th Workshop on Bitcoin and Blockchain Research at the Financial Cryptography and Data Security Conference 2018. The loosely defined terms hard fork and soft fork have established themselves as descriptors of different classes of upgrade mechanisms for the underlying consensus rules of (proof-of-work) blockchains. Recently, a novel approach termed velvet fork, which expands upon the concept of a soft fork, was outlined in . 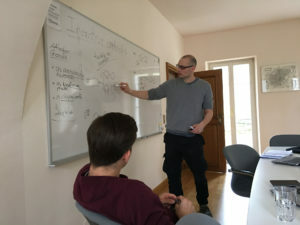 Specifically, velvet forks intend to avoid the possibility of disagreement by a change of rules through rendering modifications to the protocol backward compatible and inclusive to legacy blocks. We present an overview and definitions of these different upgrade mechanisms and outline their relationships. Hereby, we expose examples where velvet forks or similar constructions are already actively employed in Bitcoin and other cryptocurrencies. Furthermore, we expand upon the concept of velvet forks by proposing possible applications and discuss potentially arising security implications.